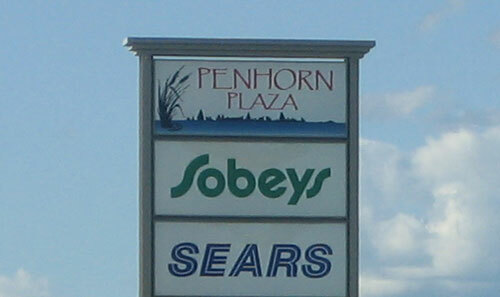 Penhorn Plaza in Dartmouth | Papyrus Watch - Exposing the overuse of the Papyrus font. 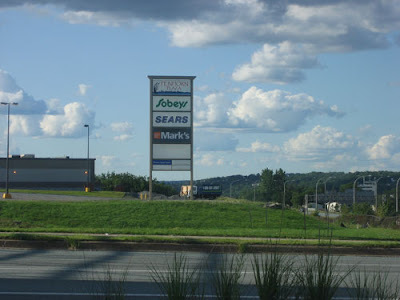 Even driving in a car on the highway I spotted this Papyrus sign from hundreds of feet away. The Penhorn Plaza in Dartmouth, Nova Scotia recently changed their name from Penhorn Mall and got a fancy new sign, too. Who keeps getting paid to do this stuff? I'm assuming for not very much money.